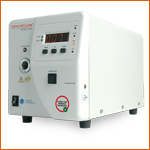 This model is equipped with a lamp of 200W with a life expectancy protected from 2000 hours. 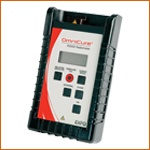 Ideal for the manual or automated applications. 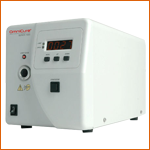 The last model of the platform of polymerization possesses remarkable commands and lamp of 200 W.
This system is designed with proprietary Intelli-Lamp LED technology that monitors LED head temperature, lifetime data, and automatically maintains optical stability +/- 5% during an exposure. 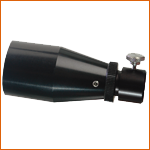 Ideal for any application that requires a uniform spot. This is allow the user to cure adhesive evenly without having to compensate for uneven light distribution. 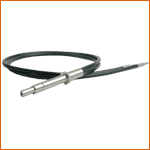 Flexible light guides are liquid-filled or made of quartz fibers. There are advantages and disadvantages for each type. 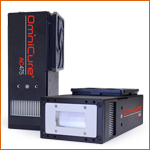 The OmniCure AC Series UV Curing systems offer a wide range of applications on a lot of surfaces, the AC Series offers UV LED curing systems that can be adjoined without compromising optical uniformity between systems to meet the needs of any application size. 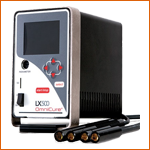 Calibrated instruments that measure UV energy in relation to a standard UV source. 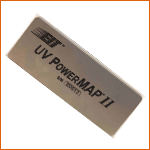 On-Line monitoring instruments are not calibrated; they indicate UV energy relative to a user-defined benchmark.